The project starts from the idea that tea leaves are a natural substance and a synesthetic mean. 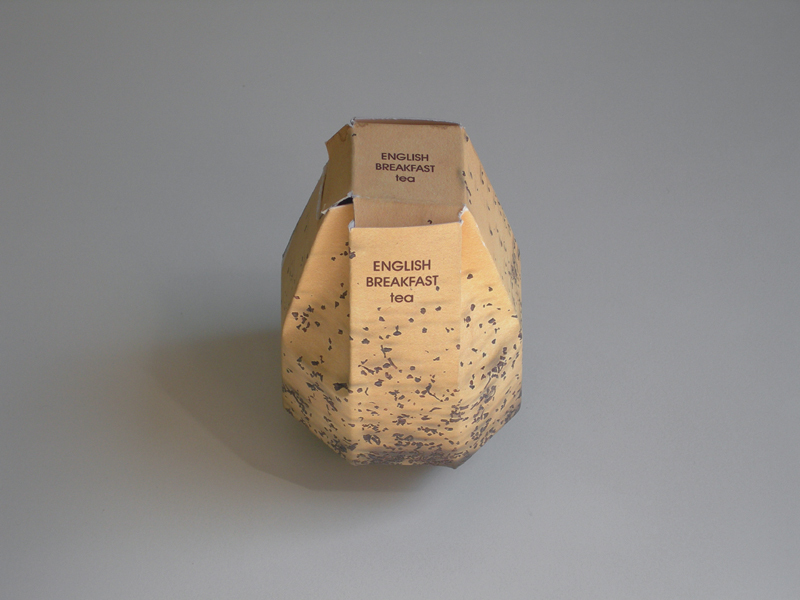 The package renders through its opaqueness and roughness the "sandy" effect of the product. The dosing system is a solution designed to solve the problems that other tea packages have while dispensing the product. Bucchetti Valeria, Packaging tra vista e tatto, Edizioni POLI.design, Milano 2007.